Wayward Whiskey Bourbon and Venus Aquavit were both named winners in this year's award ceremony that took place over the weekend at the San Francisco War Memorial. You can find the full list of winners here. Sean headed into The Brewing Network studio to chat with Jason Petros "JP" and Warren "Beardy" Billups about all things craft spirits! The very first episode of the new podcast Heads + Tails is now available on the Brewing Network website and iTunes! Listen on the website or on iTunes, and keep an ear out for future episodes. 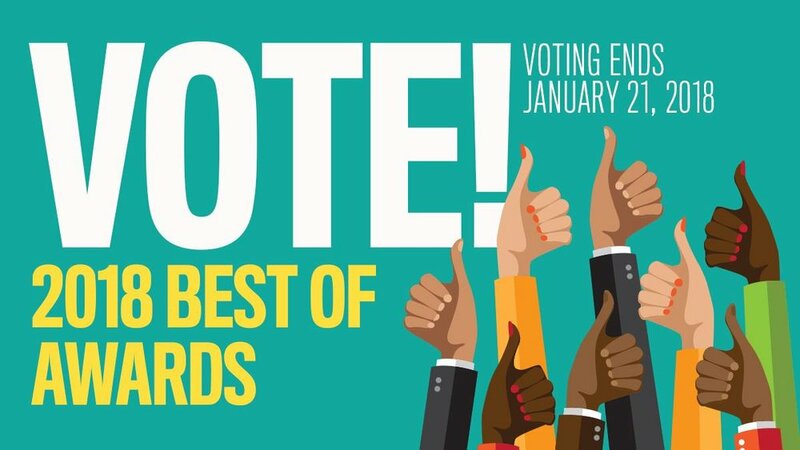 We are so grateful for the continued support from our Santa Cruz community and now you have the opportunity to vote for all of your local favorites in the 2018 Good Times "Best of Santa Cruz County" awards and the Santa Cruz Waves "Swellies". Click on the images below to cast your vote! The Carolyn Sills Combo // "Bad For You"
T Sisters // "Woo Woo"
Check out this fun video put together by Visit Santa Cruz County. "Get to know what makes Santa Cruz so unique with Martijn Stiphout from Ventana Surfboards and Sean Venus, of Venus Spirits. Using reclaimed wood and locally sourced, organic ingredients respectively, these master craftsmen live and work in Santa Cruz. Combining a love of the ocean, an entrepreneurial spirit, and a little bit of salt air, these locals capture the essence of what it means to love what you do and where you live." Front Country // "O Heartbreaker"
One of the most common questions we get asked is "what is Aquavit"? Venus Spirits is one of four distilleries in California making the traditional Scandinavian spirit, and that number is on the rise around the country. Learn more about the spirit characterized by caraway and why you should have it on your bar...full article here. Check out the best food & drink from around the country on the mouthwatering list featured in the October issue of Coastal Living. Read the digital version here.